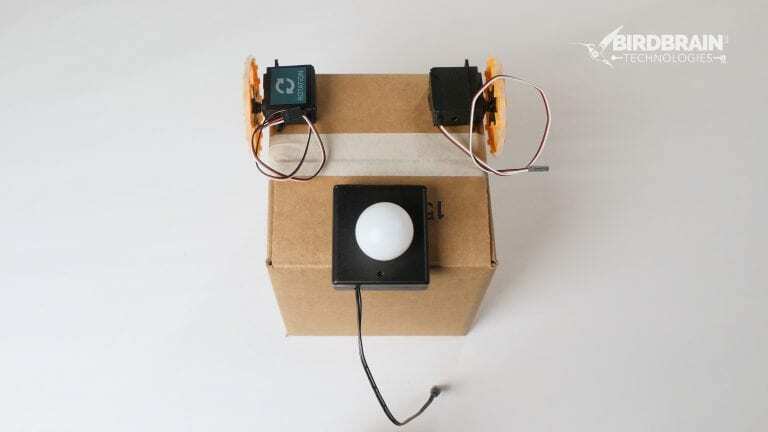 Meet the Rover, a simple and silly robot that can be easily customized to perform different tasks. Rovers work best using untethered or wireless control. Some programming languages are better for wireless control than others. 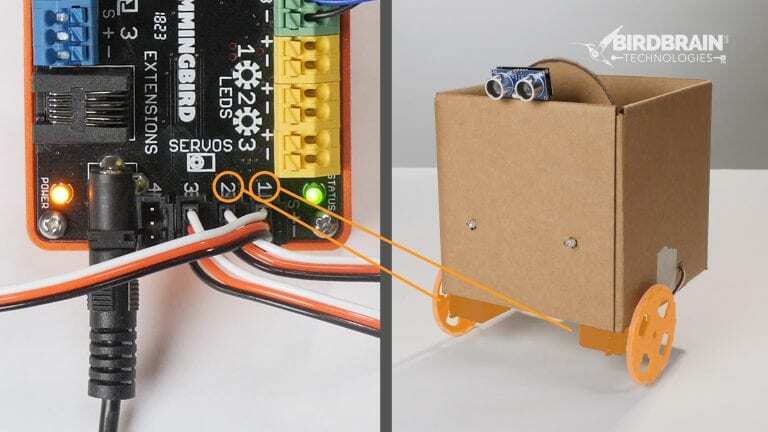 We recommend programming your rover with BirdBlox, MakeCode, or Arduino (for Duo users only). Make sure you are familiar with the different coding options, so that you can choose a programming language that is right for you. 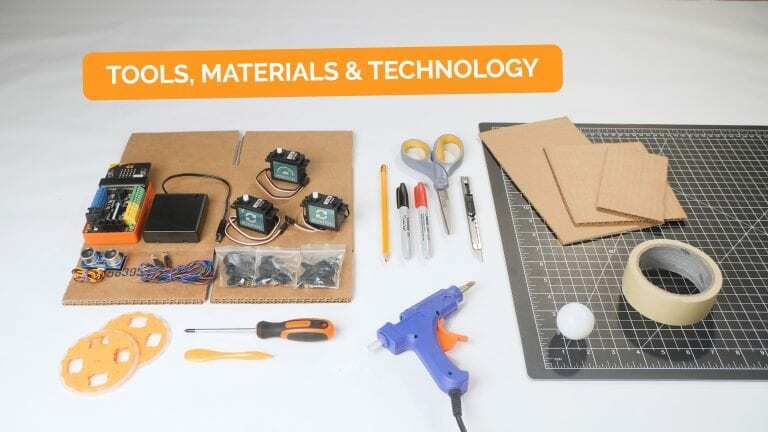 These tutorial videos feature components found in the Hummingbird Bit Premium Kit. 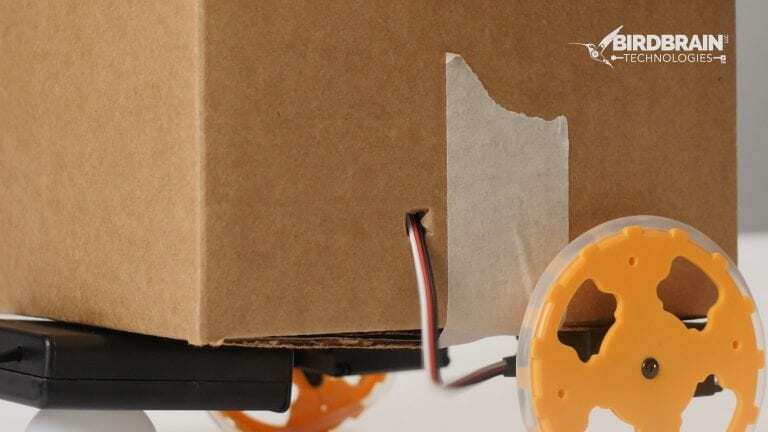 It is possible to build a similar Rover using the gear motors found in the Hummingbird Duo Premium Kit. Tape one side of the box closed. This will be the base of your rover. Fold in the tabs on the top of the box. Next attach the wheels. 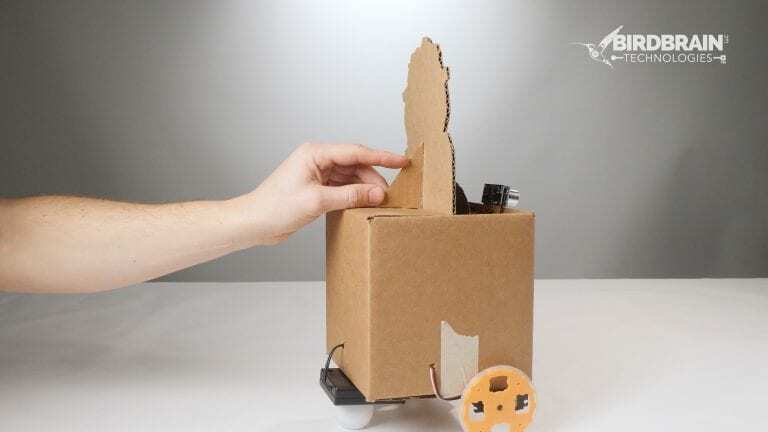 Snap the X-shaped servo horn onto the rotation servo. The wheel will snap onto the top of the servo horn. Secure the wheel and servo horn into place with the small, black screw included with your servo hardware. Repeat this process for the second rotation servo. Hot glue both rotation servos onto the base of your rover. The servos should be oriented so that the servo wires point towards the back of the rover. Hot glue the battery pack to the center-rear of the rover. Hot glue the ping pong ball to the base of the battery. Run the wires into the box. 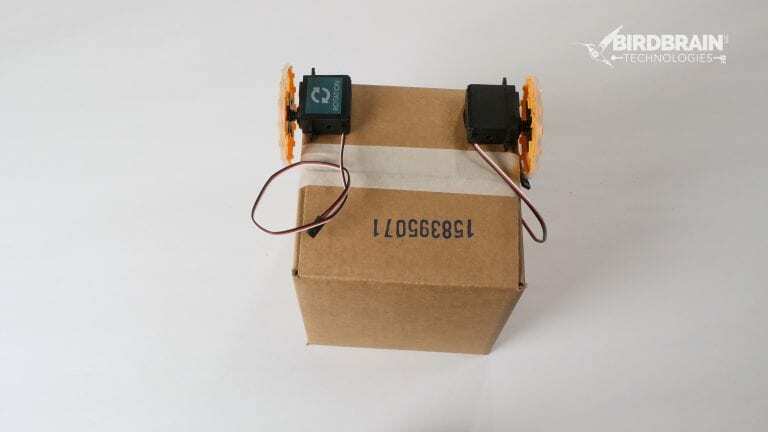 Using a blade, create a small X in the side of the box, near the rotation servo. 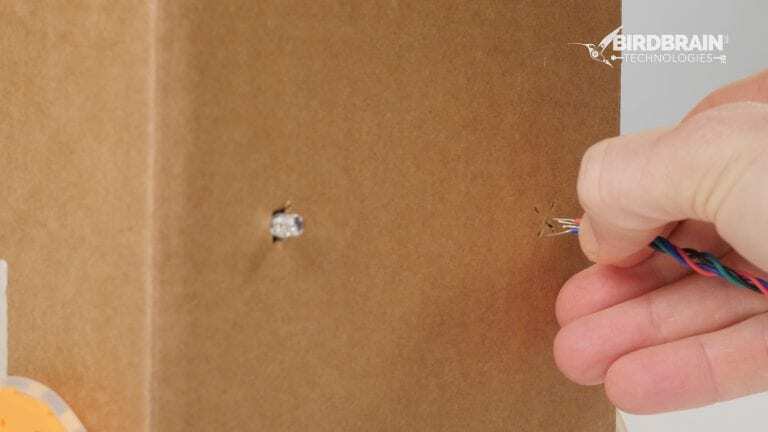 Use a pencil to widen that X into a larger hole. Feed the servo wire into the hole. Repeat this step to create holes for the other rotation servo wire and the battery pack wire. Next give the rover some headlights. Create 2 X’s along the front of the rover. Feed the Tri-Color LED wires into the box through the X, until just the LED bulb is sticking out of the box. Repeat this process with the second LED. Now create a steering wheel by drawing a circle. We traced the masking tape roll, but your steering wheel can be any size and shape, so long as it fits inside the box. Cut out the circle. Hot glue a servo horn to the center of the circle. We used the round servo horn, but you can use any servo horn that is available. Push the steering wheel onto the position servo shaft. Hot glue the position servo into the rover so that the steering wheel is centered in the front. 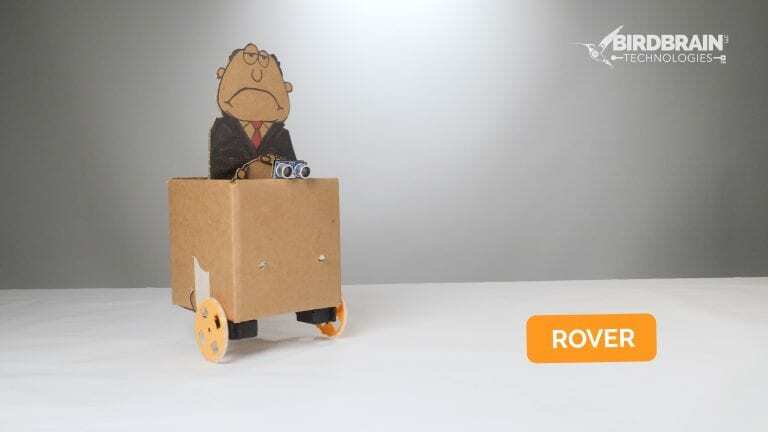 Mount the distance sensor by cutting 2 small cardboard tabs from the scrap cardboard and hot gluing them to the top-front of the rover, so that they stick up like 2 prongs. Slide the distance sensor over the prongs to secure it in place. Note: If you are using the Hummingbird Duo, the Servo Ports 1 and 2 will be replaced with Motor Ports 1 and 2. Draw a character. It can look however you want. Because you don’t see the character’s feet, you can just draw your character’s torso. 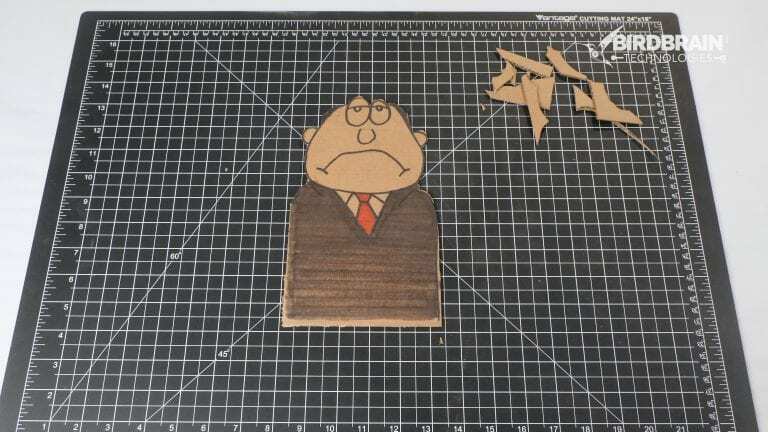 Our character was cut from a piece of cardboard that was 15cm by 25cm. Fold out the rear flap of the rover. 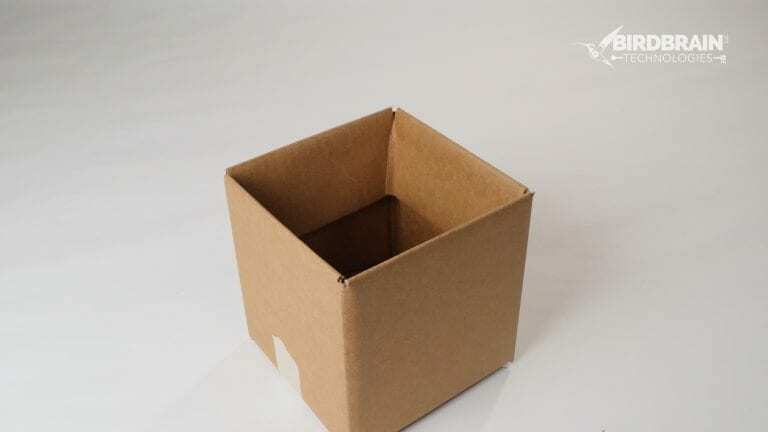 Place your character in the box so that it leans against the rear flap. Create a bracket to hold the character in place. Cut a small triangle from the scrap cardboard. Hot glue the triangle to the back of the character. Secure the triangle to the rear flap. If you’d like, you can create some hands and hot glue them to the steering wheel.